Gair, Gair, Conason, Rubinowitz, Bloom, Hershenhorn, Steigman & Mackauf, a top New York Personal Injury law firm is proud to announce that it has been selected by the National Law Journal and Law.com this year to be part of the Top 50 list of America’s Elite Trial Lawyers. The 50 personal injury firms selected for this list have been doing the most creative and substantial work on the plaintiff side. To qualify for inclusion, firms had to have scored at least one significant plaintiffs win between Jan. 1, 2013, and June 30, 2014, and possess an impressive track record of wins within the past three to five years. A “significant win” meant prevailing in a bench or jury trial or in a major settlement where the stakes were high-for example, a substantial amount of money was at stake or the outcome could have affected litigation strategy or results in similar cases nationally. Also, firms had to devote at least 50 percent of their litigation resources to plaintiffs work and derive half or more of their revenue from plaintiffs-side activities. Firms with higher percentages of plaintiffs-side work were considered. • Firm size in relation to impact or recovery amount. “We are extremely pleased to have been selected for this list and to be recognized as one of the top law firms in the United States. It is a testament to the hard work and endless dedication we provide to our clients”; says Ben Rubinowitz, Managing Partner. 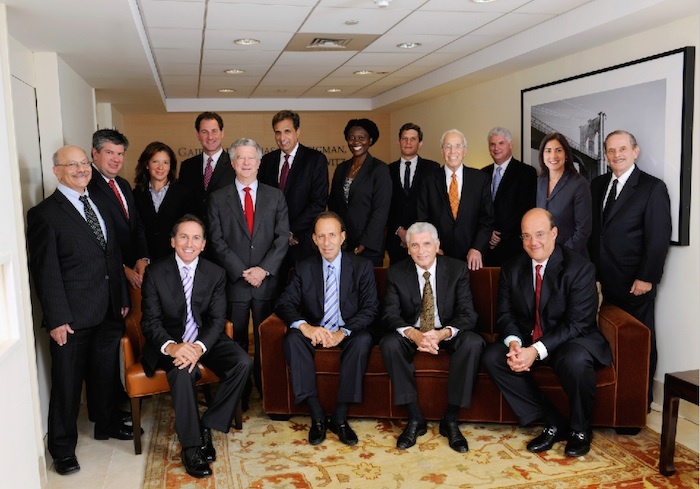 Gair, Gair, Conason, Rubinowitz, Bloom, Hershenhorn, Steigman & Mackauf, is a New York Personal Injury Law firm based in Manhattan and handling cases throughout New York and New Jersey. The firm was founded in 1919 and has enjoyed a national reputation and a long storied tradition of success for its clients. To provide the highest standard of quality and service to its clients the firm only concentrate on a maximum of 100 cases a year and focus on catastrophic personal injury and general negligence cases including construction accident, auto accident, medical malpractice and product liability. In the last 10 years, the firm had more than 400 cases resulting in verdicts or settlements exceeding $1 million including $103 million for a child who suffered brain injury at birth and $90 million for a child who suffered cerebral palsy, $27,500,000 verdict for a pedestrian who lost a leg after being struck by a bus, the largest verdict for such an injury in New York State history. The firm also obtained a 26,000,000 settlement for the family of a 35 year old woman who was a pedestrian struck and killed by a truck. This is believed to be the largest settlement in the history of New York for the wrongful death of one individual. The firm is also active in civil rights and represented the family of Amadou Diallo for the wrongful death of their son Amadou, who was shot at 19 times by members of the New York City Police Department’s Street Crimes Unit. The City of New York was forced to pay $3 million to the Diallo family. This amount is the largest amount ever paid by the City of New York in a wrongful-death action for the death of a single individual with no dependents. Additional information is available at www.gairgair.com.